I know most of you have had a ton of snow this year but we just got our only real snowfall this weekend. 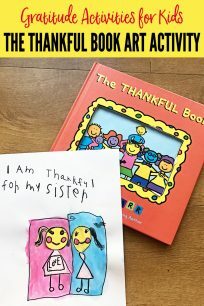 My kids were all over it. 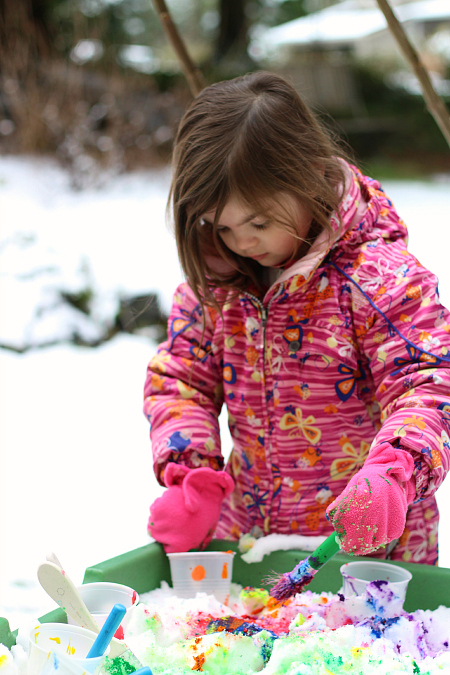 After we made Olaf in the snow ( seriously check him out ) we warmed up and while having hot chocolate I noticed our water table full of snow and sprang into action! 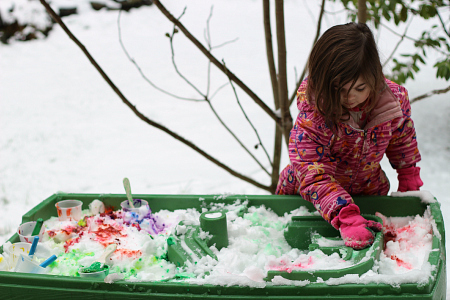 Having spent my first 26 years in Canada I have painted the snow many many times but never with my own kids. 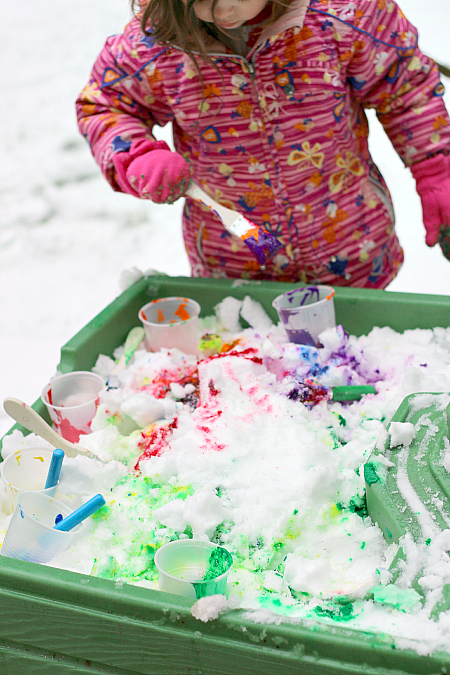 This can get messy so have old towels ready , other than that explore and have fun mixing colors in the snow. Gather your materials. 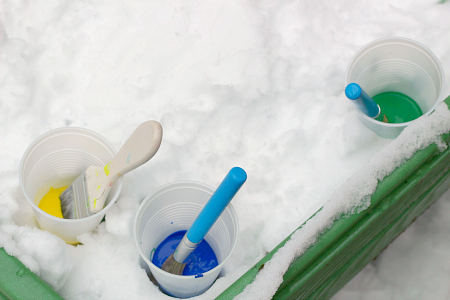 You will need some paint, plastic cups, paint brushes, snow, and a water table or large shallow container for the snow. 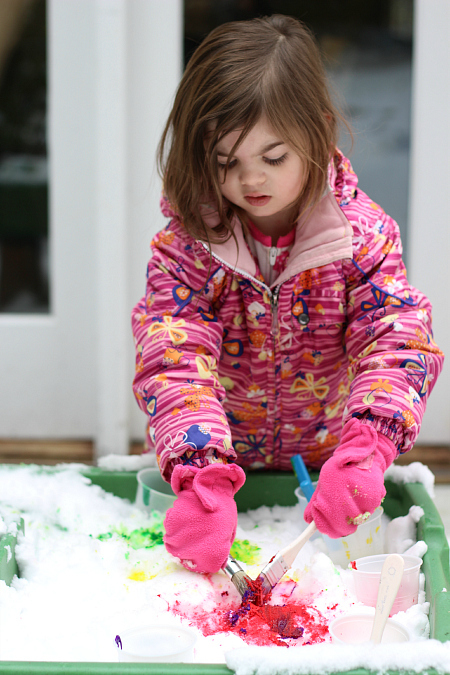 Fill your container with snow and pour all different color paint int he cups. One color per cup. Call a little one to come and make a mess. My daughter was more than happy to oblige. 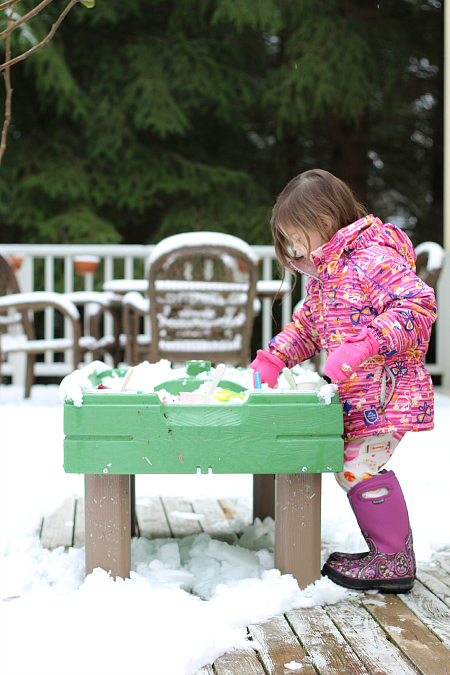 When you run our of area to paint just grab some more snow ,pack it on top , and keep painting! When it was time to come in I had a bowl of warm water and oxyclean ready for her mitts. The paint came off easily! 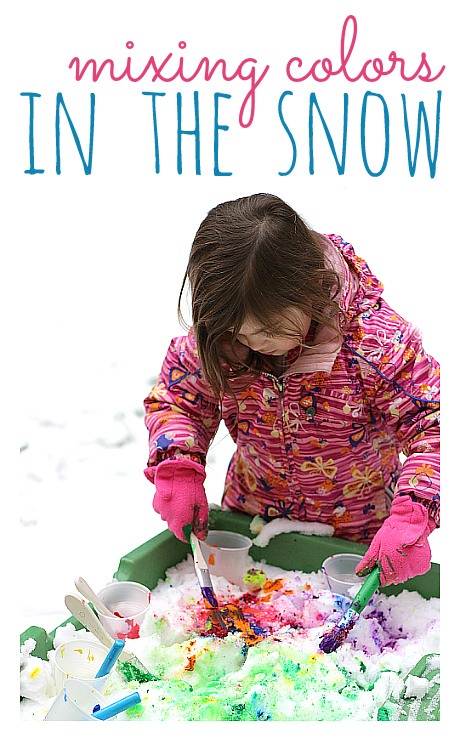 How do you get creative in the snow? Check out some of our favorite books about snow . 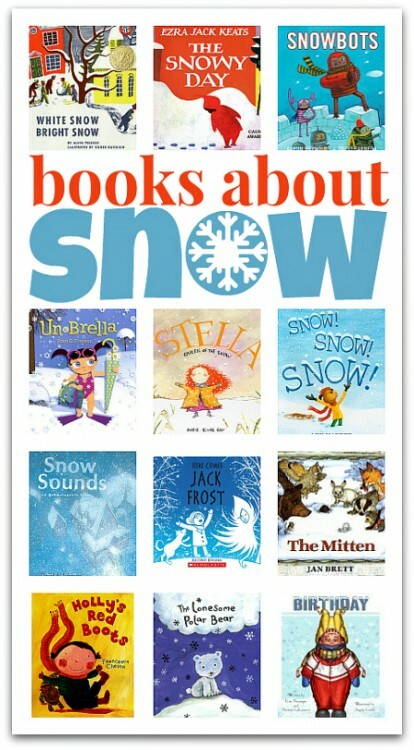 You can find the reviews for all of these books here. Yeah – I grew up in BC and Alberta and my whole family is still in the Vancouver area. I lived in Ontario for a while too – I went to Teachers College at Lakehead in Thunder Bay so freezing is something I know! I live in Washington State in the US now though so snow is a novelty. This looks SO FUN! 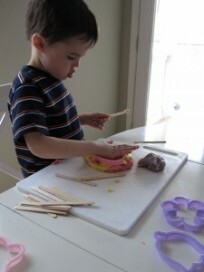 And the mess just melts away, I love it! I’m in the Seattle area too, so snow is definitely a rare treat. I will have to remember this idea for future winters! This is genius. 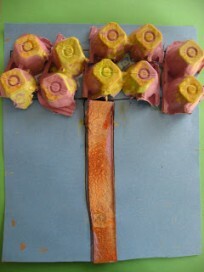 So simple yet so fun for the kids. We have a snow day today so I definitely know what we’ll be doing later!